Teignford, a 3mm Scale Layout. 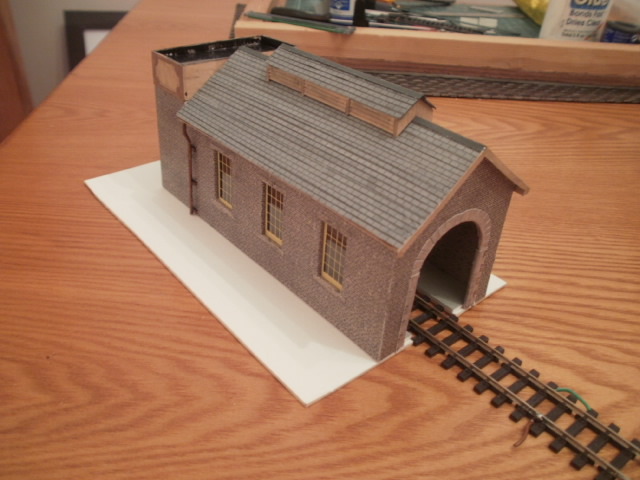 : Engine Shed-Completed. At long last and the use of much midnight oil, the Shed is complete. 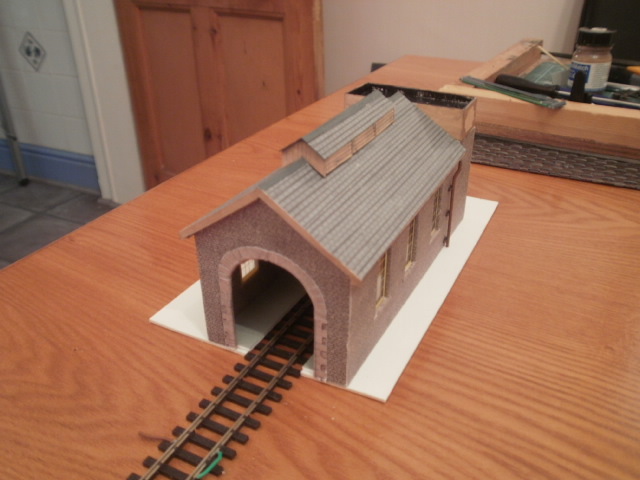 It has to be mounted on an extra sheet of card because- as many elderly sheds found out- a 45XX wouldn't go into it! It does now-just. The extra foundation will be trimmed a little and a hut will be joined to the rear quarter when planted. There is also the matter of an access ladder, I have some but until fixed this won't be attached. I looked at the vents atop the building and eventually, after scrapping much card and plastic, a brainwave. 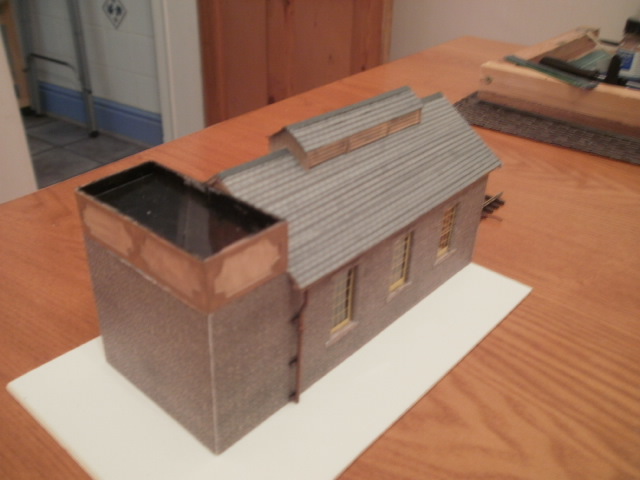 I had some featheredge plastic card- from Evergreen I think-so pieces were cut and filed to size and glued in. Then the whole lot was painted and is ready to become attached to it's new home. 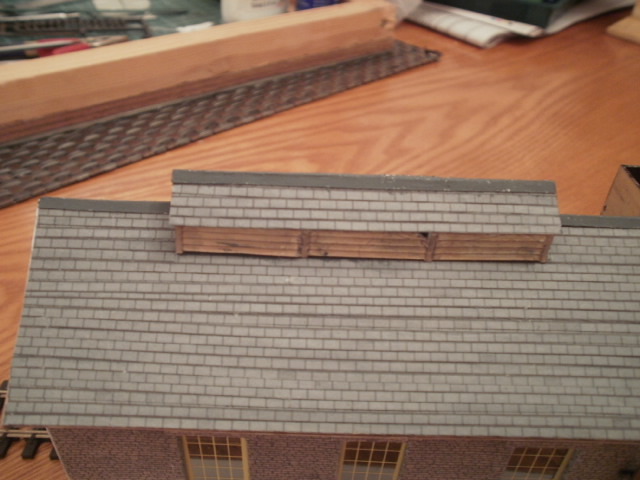 These views show my wonky application of the roofing slates. They are actually 00 Gauge Superquick, cut in lengths of two slates and stuck on, it's not until afterwards and the enlarged image from the camera that I realise Specsavers needs a visit. Forming The Lay of the Land.